Giannis Antetokounmpo wasn’t even needed in the fourth quarter. Draymond Green, Shaun Livingston and DeMarcus Cousins didn’t play at all, Stephen Curry couldn’t finish the game, but the Golden State Warriors injury woes can’t devalue Milwaukee Bucks’ big win at “Oracle Arena”. It was Giannis Antetokounmpo’s 24 points, nine rebounds and four assists that handed the Warriors their first defeat at home this season. 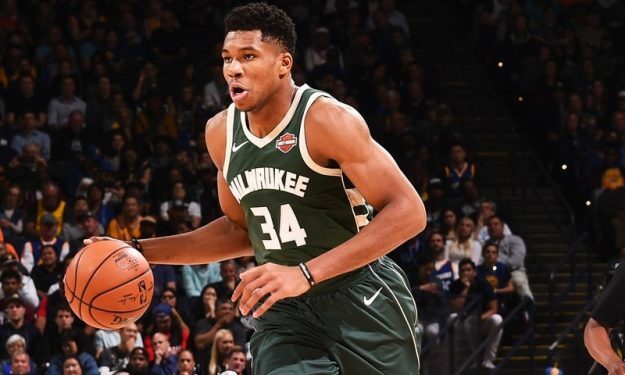 Eric Bledsoe scored 26 points, but 23-year-old Antetokounmpo was the one that dribbled around anyone that tried to stop him and sent a clear message to the rest of the NBA teams with his defensive presence. Watch his best plays from last night’s game and see for yourselves how he led the Wisconsin team to its impressive road victory.